For Clothing Apparel Stores and discount designer factory outlets all over America, scroll down to the links below to view a detailed list. This page features a detailed list of factory outlet malls in the state of Indiana. The state of Indiana is home to 12 factory outlet malls with many hundred clothing apparel stores selling all your favorite designer brands. 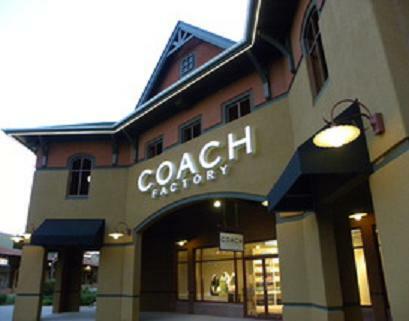 Castleton Square Mall in Indianapolis has 106 factory outlet stores to visit. For more details, call 317-849-9994. Circle Centre in Indianapolis has 57 discount stores. For further info, call 317-681-5615. College Mall in Bloomington features 71 factory outlet stores. For store hours, directions, and other info, call ﻿812-339-9370. Edinburgh Premium Outlets in Edinburgh (near Indianapolis) has 79 factory outlet stores to choose from. For a list of stores and other info, call 812-526-9764. Lighthouse Place Premium Outlets in Michigan City (near Chicago) has 98 factory outlet stores to visit, including a Bedroom Furniture Outlet. For more details, call 219-879-6506. Markland Mall in Kokomo has 34 discount stores to choose from. For details, directions, or mall info, call 765-454-6940. Muncie Mall in Muncie has 57 discount stores to choose from. For a mall map, a list of stores, and other information, call 765-282-1276. The Outlet Shoppes at Fremont in Fremont features 26 factory outlet stores. For store hours and other info, call ﻿260-833-1516. Tippecanoe Mall in Lafayette has 82 factory outlet stores, including a Best Buy factory outlet. For a list of stores and other information, call 765-448-6177. University Park Mall in Mishawaka (South Bend) has 99 discount stores to choose from. For a list of stores and other information, call the main office at 574-271-5531. Washington Square Mall in Indianapolis has 25 discount stores to choose from. For a list of stores and other information, call the office at 317-899-4568.